Welcome to PrintedDryErase.com. Home of the Opti-Print™ Brand. 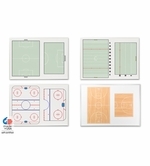 We make the world's best custom printed dry erase boards and so much more. We create some of the most exciting and colorful custom dry erase products available. We have an awesome writing surface and an erasing quality that is second to none. You can count on our 25 plus years of experience! 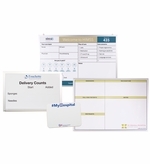 Our printed patient room boards and hospital dry erase boards are terrific. We make LEAN manufacturing boards for some of the largest companies in the world. 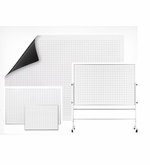 Teachers love our line of educational whiteboards. 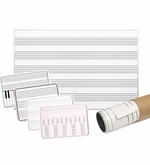 They include dry erase music staff boards, xy Cartesian graphs and more. Businesses won't find a better magnetic dry erase board than our Great White™. The selection of printed dry erase calendars is unbelievable. In most cases we can create your order faster and cheaper than any other web site. Our exclusive Opti-Print™ method is the best. We create photo quality dry erase prints and the opportunities are endless. Looking to create something custom but don't have any idea where to start? 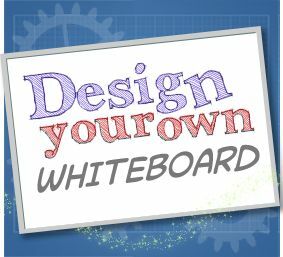 When you work with PrintedDryErase.com creating a custom printed whiteboard is easy. Our helpful and experienced customer service staff is here to help you every step of the way. "WOW… your customer service and attention to detail is AMAZING!!!" says Janet from Wildrun Golf and Country Club. 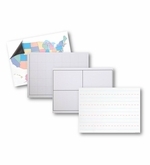 Call us toll free at 877-393-0111 to start working on your dry erase solutions today!